Comfortable state of art classroom furniture to provide the adequate comfort to sustain the interest the students’ interest during the complete span of the teaching learning process. The high capacity Reverse Osmosis plant is placed to treat the water and make it fit for drinking. The plant also provides the best quality soft water to the swimming pools. 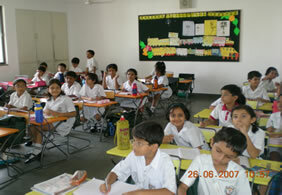 The pre-nursery, Nursery and Prep classes are housed in this wing. All the classroom are made child friendly by painting colourful motifs and characters on the walls, which give them winsome view. Comprises classes I to V. The classrooms and educational support facilities have been designed to provide a cheerful ambience with plenty of light, quick accesses to the playground, swimming pool and all other facilities. Comprises classes VI to IX. The classrooms and enhanced educational support infrastructure facilitate methodical and conceptual delivery and intake of lessons. Natural light, easy accesses to the playground, swimming pools, Science Laboratories, Mathematics Laboratory, Science Museum are some of the other features. The library possesses a rich qualitative collection of books and CDs. There are more than 14000 books including reference books, classics, adventures, tales, mysteries, mythology and syllabus related books. It also has a collection of Interactive and Informative, Multimedia CDs. 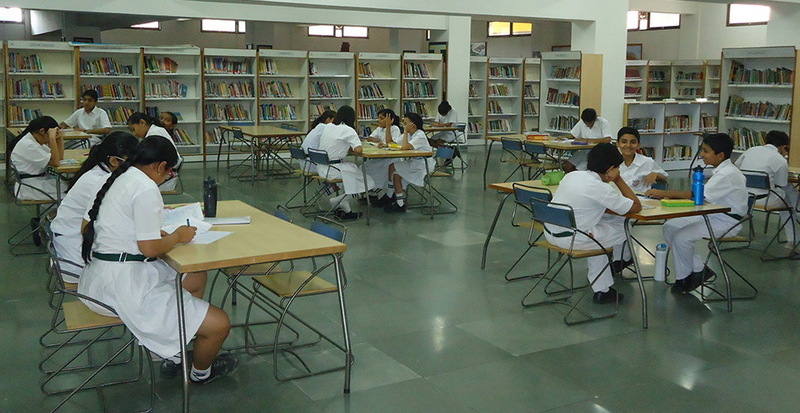 Mandatory visits to the library form an integral part of the students’ school routine. Now-a-days computer is not just a subject to learn as a hobby, but has become a necessity for every child in today's world. And this is what DPS Vadodara wants their students to grow with. 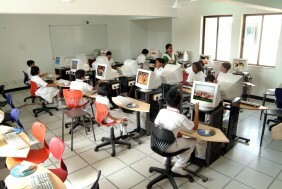 Computer in DPS Vadodara is fun as we impart education, through interactive techniques using computer CD's, LCD Projectors and Multimedia. Our Computer Aided learning infrastructure comprises more than 80 computers plus scanners, colour printers and whole multimedia kit. The LAN (local area network) connects every child with the other and also with the internet so that every child is able to access his/her own data from any where he/she is sitting. This is not the end of our computer network; we have one computer each for staff room, accounts, reception, library which are all connected through local area network. At DPS the world is at single click, through access of Internet. Healthy mind resides in a healthy body. 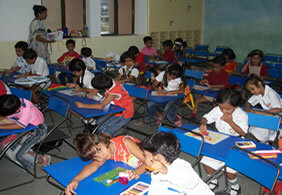 We at DPS Vadodara have a health center with a qualified nurse, who takes care of the first aid needs of the children. The school has a pediatrician, who visits the school for students’ health check ups. 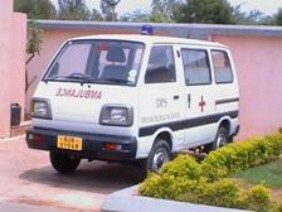 In cases of emergency the school has made provision for an ambulance that immediately takes the child to the hospital. The school infirmary is looked after by a qualified Nurse. Medical check-ups of students are regularly carried out and a record is maintained.If the doctor is of the opinion that a child needs special medical attention, the parents are informed of the same.